I’m Jake, owner of the leading hood cleaning company in Minneapolis, Minnesota. In the past 16 and a half years, my team has done thousands of restaurant hood cleanings. Commercial hoods get dirty fast, and we’ve been there to clean tons of them. We do grease trap and kitchen exhaust fan cleaning too. Whether your kitchen is in a local restaurant, airport, nursing home, or a hotel, you’ll need the same hood cleaning service…one that’s fast, affordable, certified, and has the experience to get the job done right. And yeah, we’ve received awards, we’ve been talked about on Fox and a couple other local news stations, we’ve got a perfect 5.0 rating on Google and Yelp, so on and so forth. We’ve also got more testimonials than we can count. ​But, that’s not why you’re here, so let’s chat about you. You manage a kitchen. That kitchen has a commercial vent hood. And that thing is covered in grease and smoke residue. Am I close? Believe me, I get it. We’ve seen it all. Restaurant vent hoods and exhaust fans get dirty when you’re cooking constantly. Burning oils send greasy vapors into the air that seem to stick to everything they touch like the range, the vents, the ducts, the exhaust system, and they even mess up the roof when the extractor fan releases the air. You just want to walk into your commercial kitchen and see it perfectly clean (without you having to bark at everyone). Right? What if I told you our team is like the Kobe Bryant of kitchen hoods. I guarantee 100% customer satisfaction on all our work. I promise you that. And I’ll stake my reputation on it. My team and I are passionate about cleaning and want to make your life easier. We know all the NFPA 96 safety requirements for commercial cooking, so we can lessen the risk of a fire. Our hood cleaners are also certified, making us the clear choice for any commercial hood installation, rebuilds, or repair in Minneapolis. Pull that cellphone out of your pocket and dial us at (612) 200-0458​. We’re excited to show you why we’re consistently voted #1 for certified exhaust and hood cleaning. The more of these warning signs you check off, the higher your risk of a fire. All of that caked on grease is flammable, so it might be time to call us. Beyond that, leaving the system dirty can also cause structural problems with the building…the roof specifically. Rooftop grease containment is extremely important for restaurant and kitchen roofs to prevent damage to the roof membrane. When a roof is exposed to fats and cooking oils from the deep fryer, it eventually breaks down. Sometimes, the thermoplastic membranes blister. Other times, the EPDM seem adhesives break, leading to roof failure. Either way, you’re looking at an expensive repair. So, the long and short of it is, deep fryer and grease trap cleaning is a must. Call our team near you. On top of building issues, grease contamination on the roof brings animals and insects as well. That puts you at risk of Environmental Protection Agency violations. Better to just avoid it all by ensuring that professional hood cleaners inspect the kitchen, filters and the roof exhaust fan. Then, if you need a replacement or any repairs, get them done as soon as you can. Do you have a complete list of services somewhere? Yeah, let me lay it out right here. 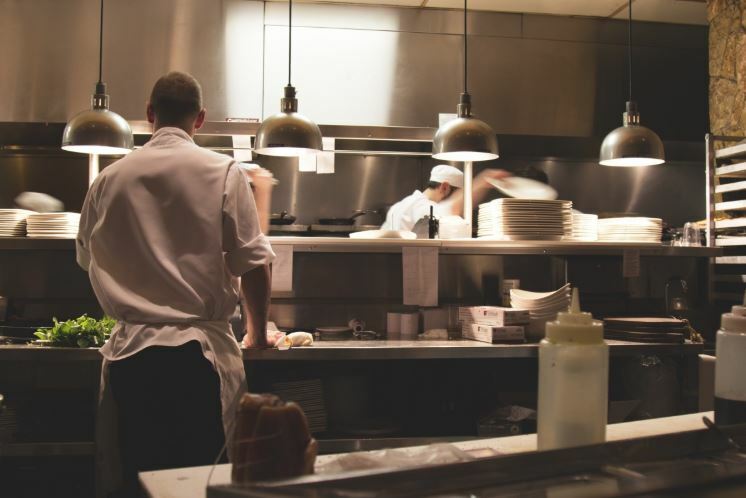 We do restaurant hood cleaning for kitchens in any business; restaurants are one of our most frequent customers because there are so many of them! That service covers the entire system - the vents, ductwork, fans, etc. We also do commercial kitchen cleaning, where we wash all the kitchen equipment and steam clean the entire room from top to bottom. The finished space is really a thing of beauty. Lastly, we handle the installation, rebuilding, and repairing of range hoods, exhaust systems, extractor fans, vents, ducts, hinges, and everything related. Windom Park, and many more. Anyone with an industrial or business kitchen. If you’re associated with a building that offers cooking, we’re happy to help you. Restaurants call us the most (probably because they’re so many of them), but we’ve also gotten calls from senior centers, airports, hotels, government buildings, and other commercial venues. What are your hood cleaning prices? Our pricing varies based on the size and scope of the project. We’re smack dab in the middle as far as cost goes. We bring a premium quality level at an affordable price. I believe in over-delivering on value because I want my customers to be satisfied and continue doing business with us in the future. When you get a quote from us, there’s no rush and there’s no pressure. I want you to feel comfortable and choose what’s best for you and your organization. Do you have a guarantee of some sort? Sure do. We’ll discuss the warranty and guarantees in simple terms when we come over for your free estimate. We also have a maintenance program that you can ask us about if you’d like more information. I guarantee you’re going to love our service! I set a high standard for my team because I want to see nothing but happy clients. Call us at (612) 200-0458 or fill out the form and we’ll get back to you as quick as we can. Please bear with us if it takes a little while because we get an overwhelming volume of requests. For the fastest response, give us a ring. PS: We maintain a strong network of providers across the country. If you have friends, family, or fellow business colleagues in need of assistance elsewhere, please check out our partners Dallas Hood Cleaning if you need local assistance in DFW or Brooklyn Hood Cleaning Pros if you need service in NYC.